"Where do broken hearts go? ", sang Whitney Houston. We still don't know the answer. It’s Monday and my head is spinning with all the madness of the last couple weeks. Mass shootings, tragic car accidents, suicide bombings, and now punctuated by the death of Bobbi Kristina Brown. I can’t really do anything about mass shootings, other than let my politicians know we need stronger gun control and more mental health help. (And please, this isn’t about starting a debate about gun laws.) Tragic car accidents, are just that, tragic. Wear your seat belts. Don’t drive drunk. Don’t text and drive. Suicide bombings? Well, misguided religious fanatics cannot be helped. We can only be vigilant and hope that there are no casualties other than the fool with a bomb strapped to his/her back. Then there’s Bobbi Kristina. I know I should be sad, and maybe I was 6 months ago when she was found facedown in a bathtub, just like her mother almost three years earlier, but now I’m angry. Bobbi Kristina struggled with drugs and alcohol, this was not a secret, and she apparently had been hospitalized more than once in her short, yet troubled life. I’m not sure anything could have been done to save her, but there is a simple answer out there that could help save thousands upon thousands from overdose. Naloxone, is a wonder drug that has already helped save so many, yet it is difficult to get, and expensive at that. I even get to say that my stepfather helped formulate this wonder drug. However, I also get to say that Naloxone wasn’t available to save my brother, or his girlfriend, when she overdosed a year later. Overdose deaths in 2013, surpassed deaths from car accidents. How absurd is that?! That’s why I’m angry. That’s why I’m doing something about it. I’m talking about Naloxone. I’m talking about Good Samaritan Laws, that offer protection if you’re with someone experiencing an overdose and you call 911. Not all states have Good Sam laws, and some states are defined differently, but a simple check on the Drug Policy Alliance website and you can find out about your state. Thanks also goes to the tireless workers at Harm Reduction, for their part in getting the word out and getting Naloxone into the hands of those who need it. 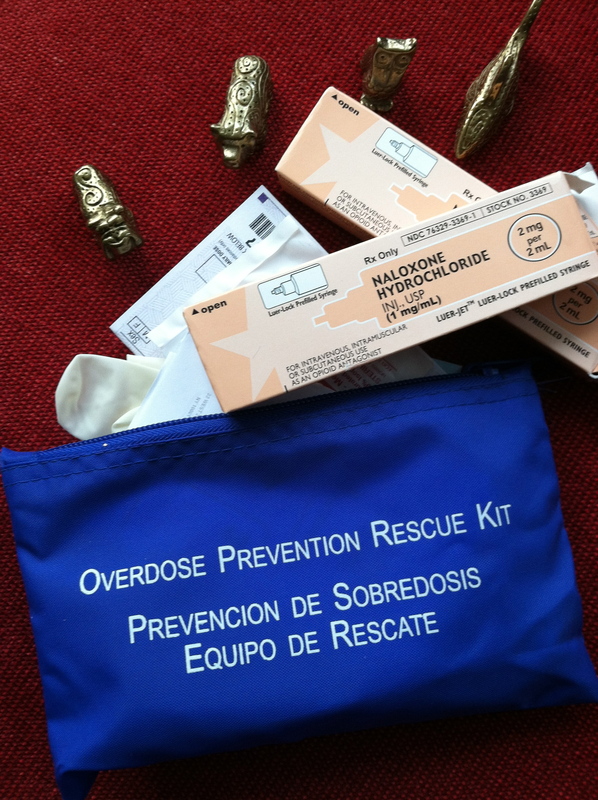 In the meantime, I am making a pledge, if you are a drug user and at risk of overdose, or know someone who is, email me at julie@totemtamers.com, and I will find a way to get you an Overdose Prevention Kit! Save someone’s life…if not you’re own. We need to educate and inform, and make Naloxone available to anyone who might need it, including co-prescribing Naloxone with any opiate prescription. This is all possible but we need to make this happen together so we don’t have to mourn another young life gone too soon. Stay well and rest in peace, Bobbi Kristina.